Littered with broken trees and damaged buildings, the Mozambican city of Beira looks like a war zone following Cyclone Idai. Children help shift the detritus among ripped up telephone and power poles. This catastrophe has killed hundreds and displaced thousands across southern Africa. Sadly, the death toll is expected to rise. 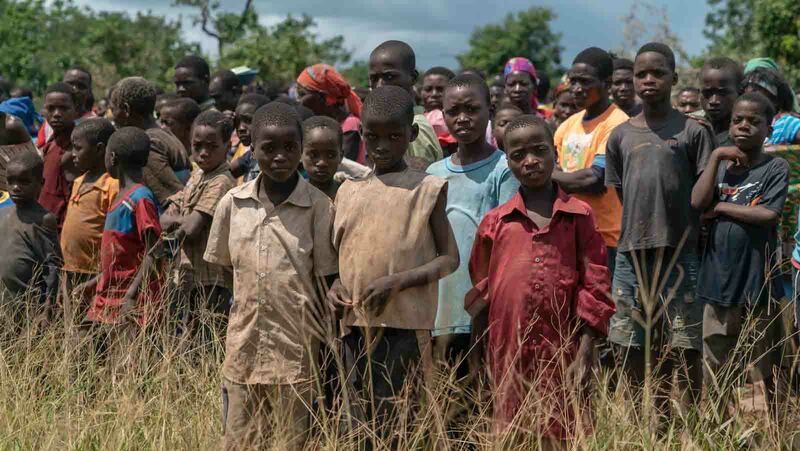 Add In Mozambique, at least 52 percent of the population is made of children. The scale of the damage in the country is unknown, but thousands of children are alone and vulnerable. Separated from their families, they have neither food, nor a shelter after their houses have been ripped apart by floods. With waters as high as 11 metres, they are at risk of drowning. Water-borne diseases such as cholera, typhoid and diarrhoea are spreading. It is only a matter of time before malaria - already endemic in the area – will do so too. With health centres and hospitals damaged, a second humanitarian catastrophe of sickness and death is looming. The clean-up has started, but it is going to take months to fix the health centres, hospitals and schools that have been torn apart. Families now live in the husks of what is left. Frustration is growing as organisations are battling to bring in cargo planes into Beira airport, which has barely enough electricity to keep a few lights on. Roads are still broken and flooded. Choppers are delivering packs of high-energy biscuits to families in flooded and broken settlements. But this is a very inefficient and expensive way to deliver aid. Ships are also making a two-day journey to bring in aid from the capital Maputo. The biggest challenge is to be able to scale up emergency assistance now that search and rescue operations are coming to an end. At least 1,000 people have so far been rescued by helicopter. Those who have decided to remain in their villages are trying to dry their grain on rooftops and waiting for the flood waters to go down. Beira and the nearby rural districts are on a knife edge, praying there will be no more heavy rains. An estimated 65,000 people who fled the countryside are now living in displacement settlements in and around Beira. Unaccompanied children keep arriving into the city. World Vision will be soon setting up child friendly spaces, where children will be monitored and allowed to have a safe space to play and recover. As it often happens, these crises push the very poorest into absolute poverty and break any chance they have of escaping it. Floods have destroyed the crops that poor communities were hoping to get to break a cycle of hunger. Children will bear the brunt of all this.Their parents will be wanting them to work to bring in extra money. Girls will face the risk of sexual exploitation or they will be forced into vulnerable domestic work. With schools and classrooms destroyed, there is nothing to draw them back into education, which for many of them is the only way to escape poverty. We are working around the clock to ensure we reach everyone affected by the devastating cyclone and floods, but this humanitarian crisis is worsening by the minute, and we need help. This is why it is so important for us to scale up our emergency response immediately and help those caught up in this crisis. If we don’t act now, many more will die and children will lose their chance to get back on their feet and fight for a brighter future.